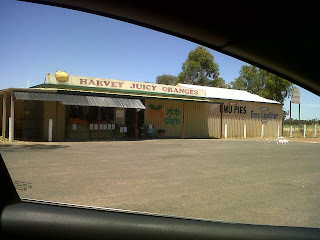 There's this place on your left as you drive down South, that you have no doubt noticed on many an occasion. It's on the Old Coast Road, about a couple of kilometres south of the Settlers Roadhouse (Old Coast Road), and around 140km south of Perth. 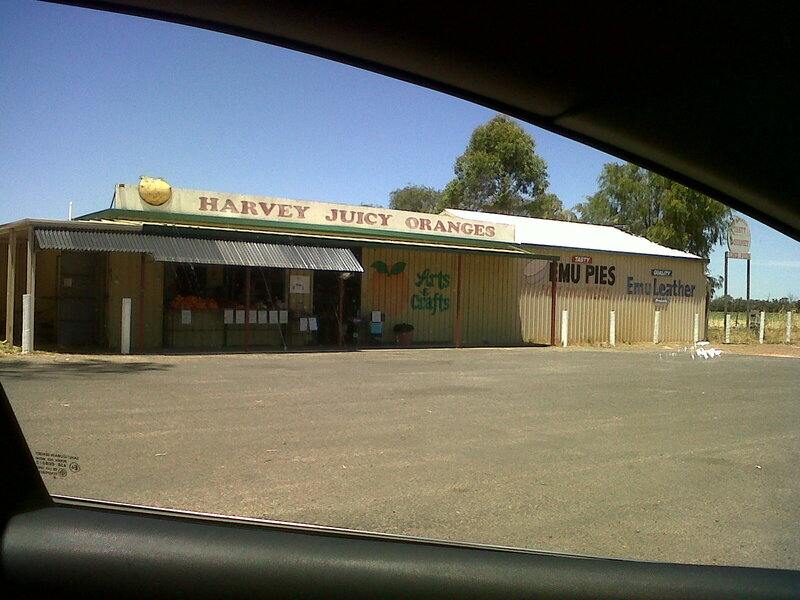 It says "Emu Pies", but you can also buy fruit and veg, there's a little picnic area to sit down and chill, and there are even a couple of emus lounging in the paddock. It's run by a nice old couple. Well, I had to take a long drive down south to rack up the mileage for my stupid novated lease (otherwise I pay a few grand extra in FBT). This was after a very big day at Paspaley Polo in the City the day before - try continuously drinking champagne from 11am to 9pm, and tell me how you feel. When on a long drive feeling slightly hungover, I thoroughly recommend the original Latino rap crew Cypress Hill. With their long looping slow drum and base rhythms and irreverent lyrics interspersed with clever unexpected synonyms like pork choppers and ultraviolet dream, it really does helps your brain chillax in neutral. Just don't listen too closely to the lyrics, because they can be slightly disturbing. Anyway, I got hungry when Be-Real starting rapping about tossing the ham in the frying pan like spam, so I decided to stop at this place instead of driving by, to check out one of their emu pies (you know what they say - a pie is one of the great all-time hangover foods). It's an interesting thing. The crust is more akin to a baked bun than your bog-standard pie. It's not crusty at all - just bready. Different but but unexpected texture is still enjoyable. And the meat is minced (like any pie, really) with bits of vege like potato and carrot (of course there has to be carrot, even if you didn't eat any! oh sorry- different topic ...). But it's got a nice amount of spice, so there is a bit of flavour. 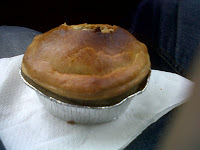 At $6 a pie, I think that it's certainly worth trying once for the novelty, and it's a nice (if early) break for your long drive down to Margaret River or Bridgetown. Don't get me wrong - I enjoyed the pie, but it just doesn't make me go wow.